The work of The Eclipse Project transcends several genres. Eclipse has been a hand-percussionist for over 20 years, with specialties in African, Middle Eastern, Latin and Calypso rhythms. 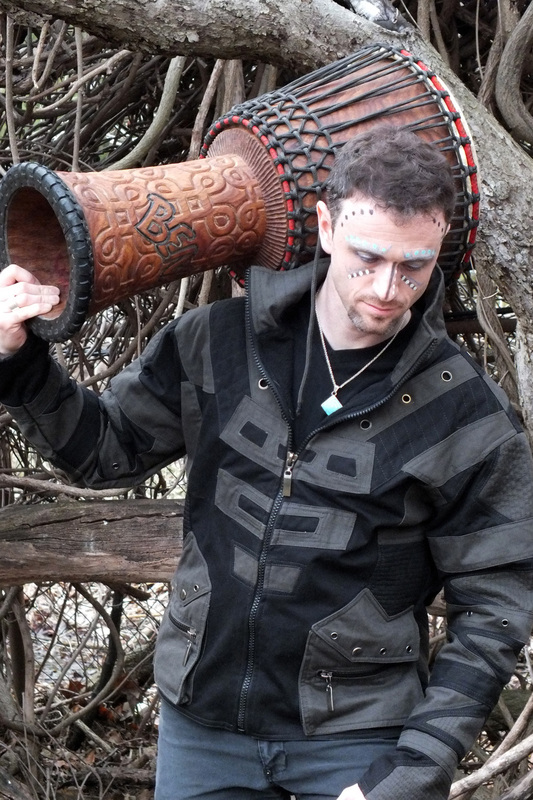 He plays several percussion instruments from Djembe, to Congas and Bongos and Dumbek. He was a previous member of the Afrolypso band “Rhythm Plus” playing lead Iron Bell in the Engine Room section. Skilled also with the Didgeridoo, or Yidaki, having spent just as much time learning this instrument. His long term passion for music has been in the electronic realm, and he has been producing and composing electronic music for as long as he has been recording. The body of work include everything from ambient to industrial, and he is the main driving force behind The Eclipse Project and the production of its music. Preferring music of extremes that have emotional depth and make a statement, whether it be beautiful and delicate or loud and jolting you to wake up and listen. He admires artists willing to push boundaries and pioneer soundscapes. Eclipse was a graduate of MMI Recording Institute in 1996, and has done studio work and it’s many roles and forms since. Recording, producing, advanced editing and mixing are his main assets in addition to his long term study of electronic music and composition.